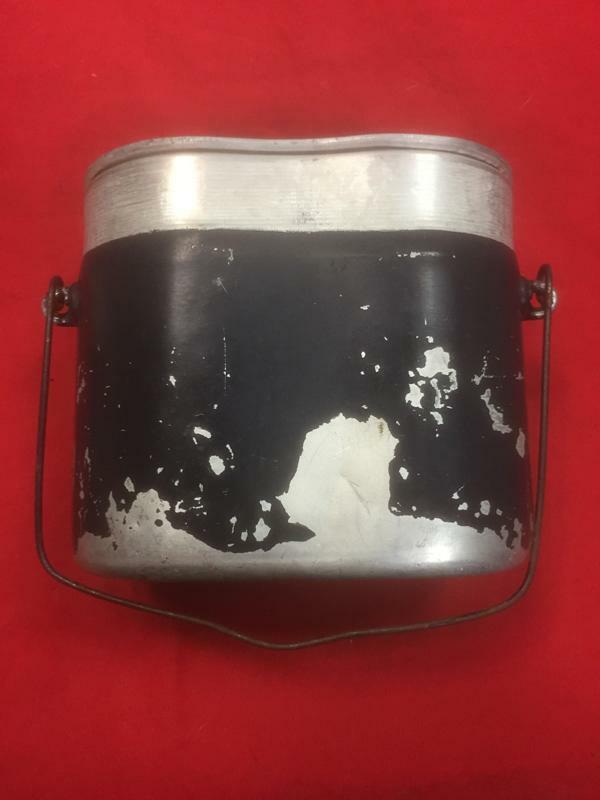 Luftwaffe blue painted, aluminum construction mess kit. 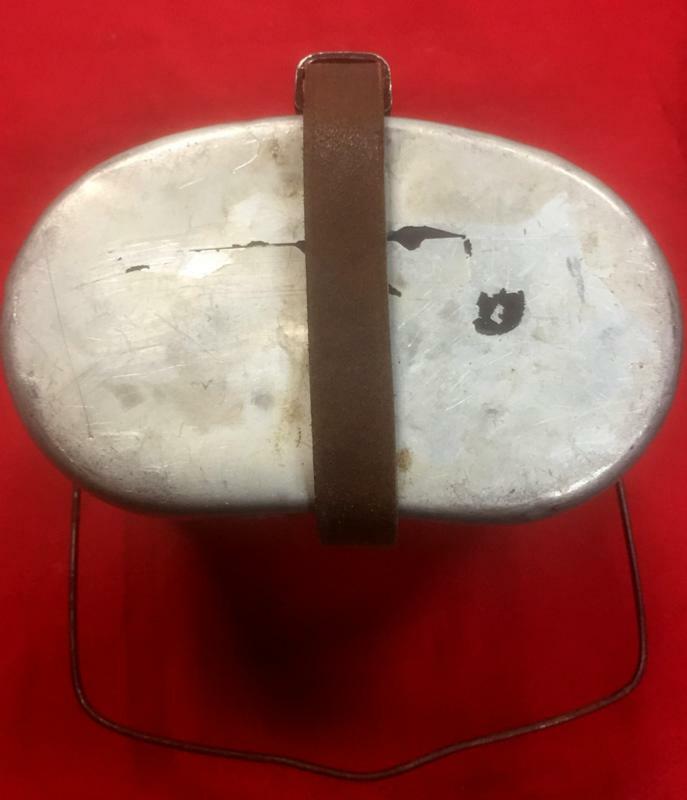 The kit has a removable top lid which serves double duty as a plate or frying pan. 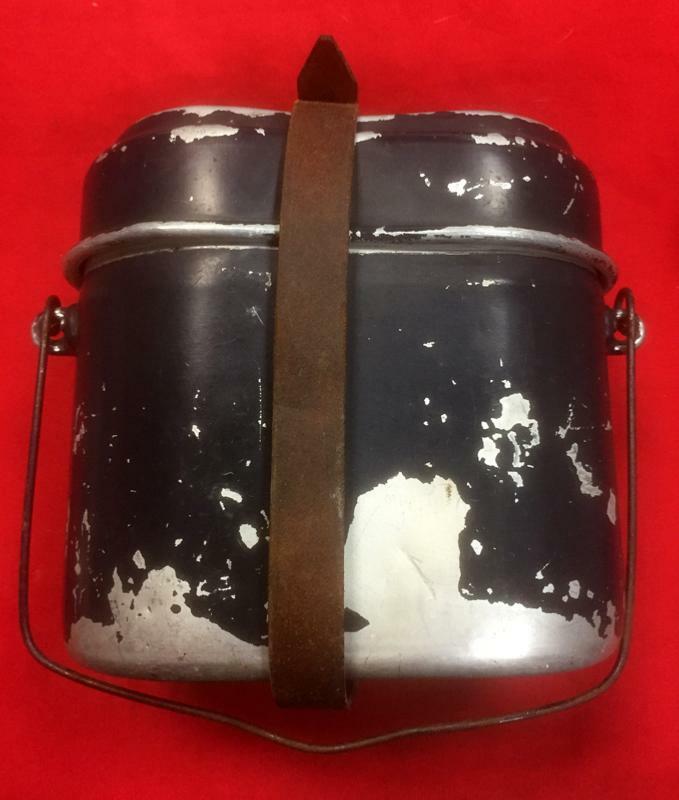 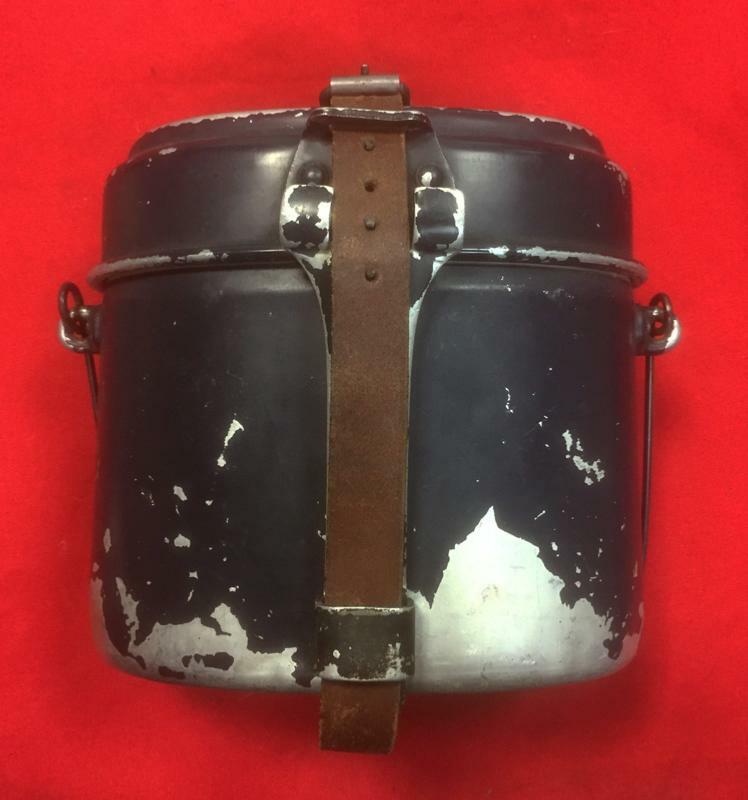 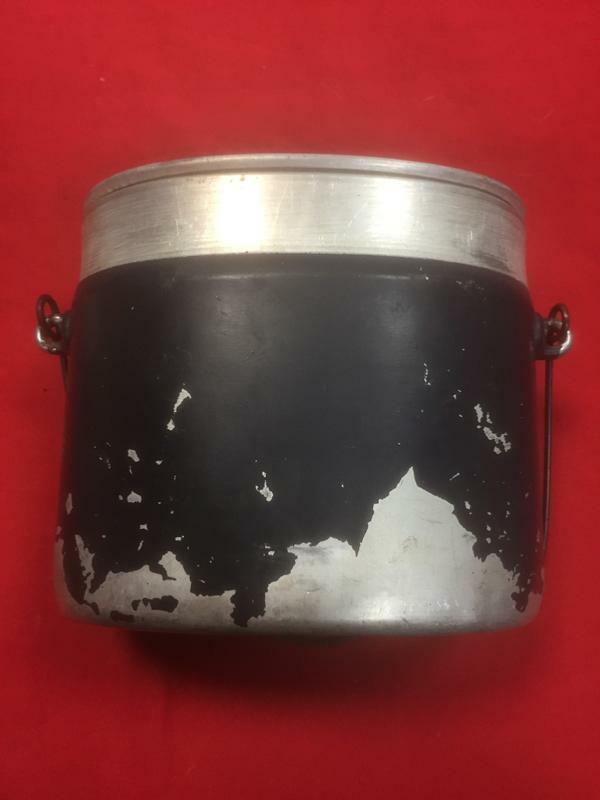 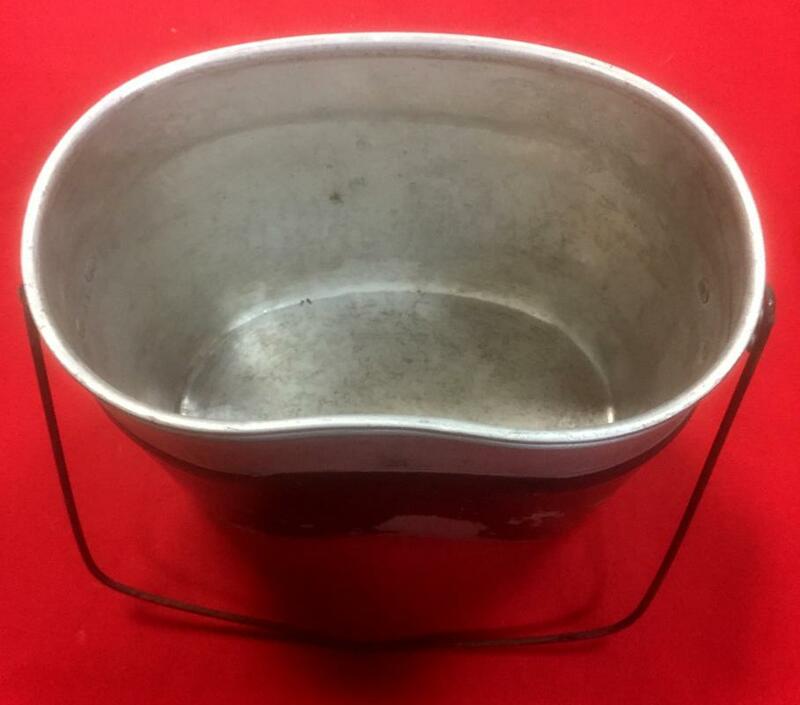 The removable top lid has a hinged, fold back handle with a raised lip to the bottom edge which secures the lid to the bottom of the mess kit body. 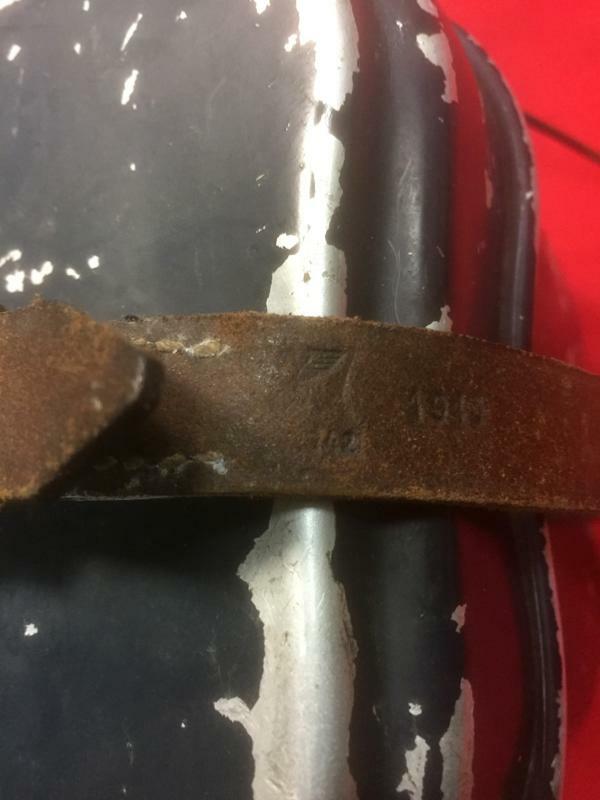 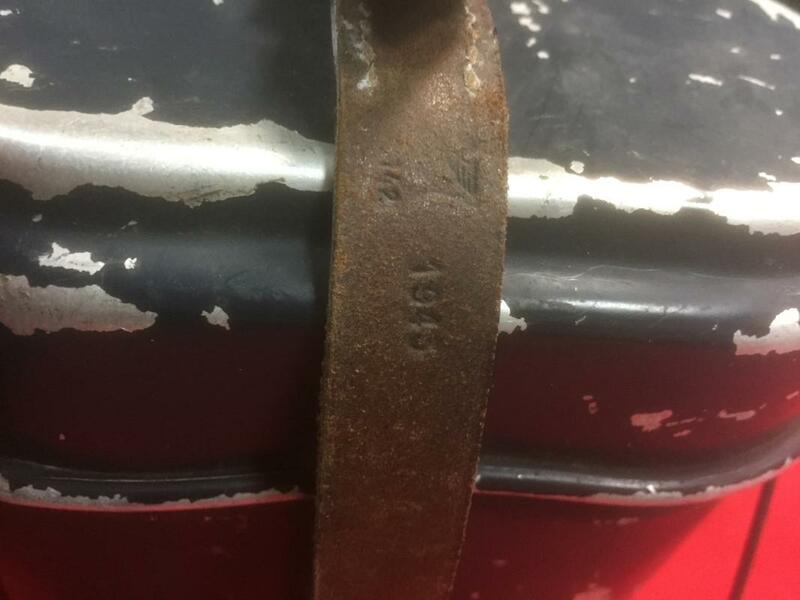 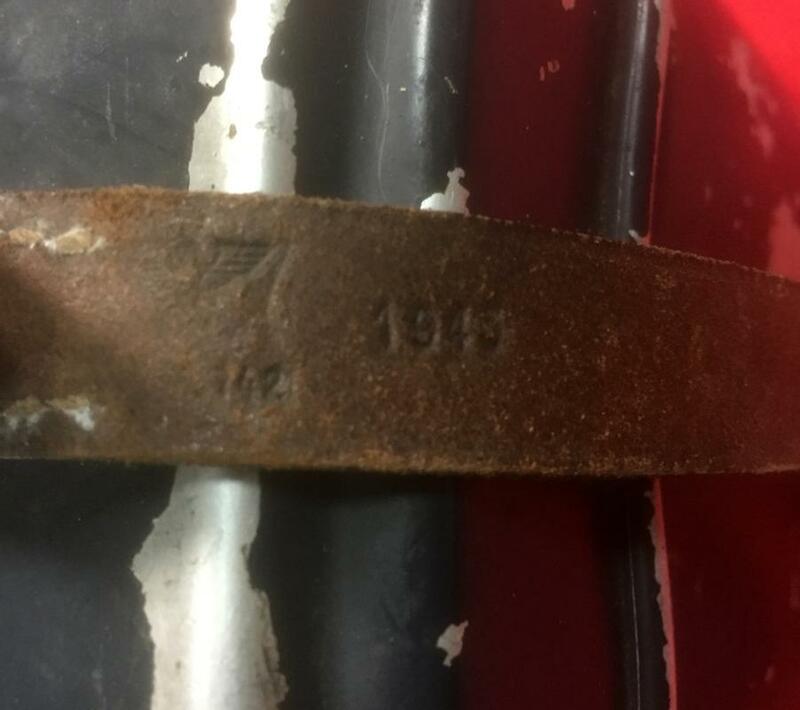 Maker marked and Waffenampt stamped and dated 1945 on the original brown leather strap.High amount of blue paint remains.